The Adamello Brenta Nature Park, in its two sectors (Brenta and Adamello-Presanella), is furrowed by a number of valleys featuring dense vegetation and fast-flowing rivers. For the inhabitants of the park these valleys have long represented the best access routes, and over the centuries, despite terrible atmospheric conditions, they have been adopted and maintained as communications routes. 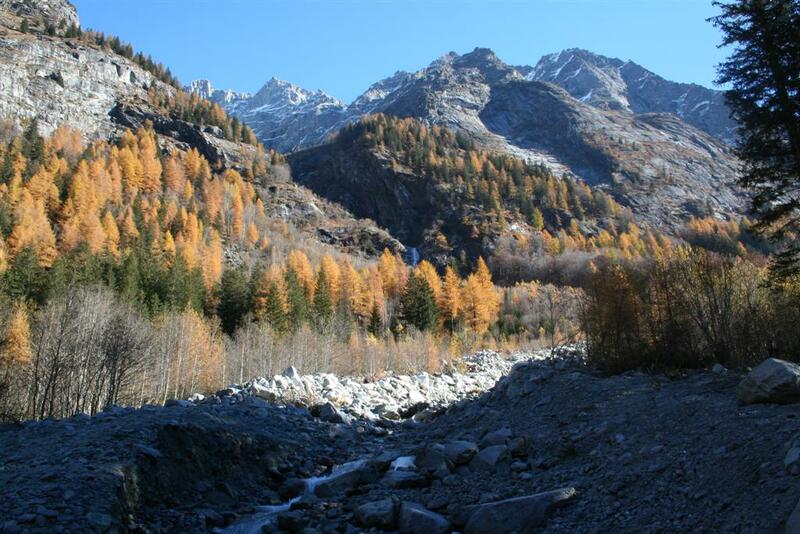 The park’s major resource, in addition naturally to its environmental value, is today not the grazing areas or even perhaps the timber (logging) and water (hydroelectric power), but rather the great attraction that this alpine ecosystem holds for tourists. And yet if numbers of tourists were to get too high, this resource would run the risk of posing the greatest threat to the very survival of the alpine environment. 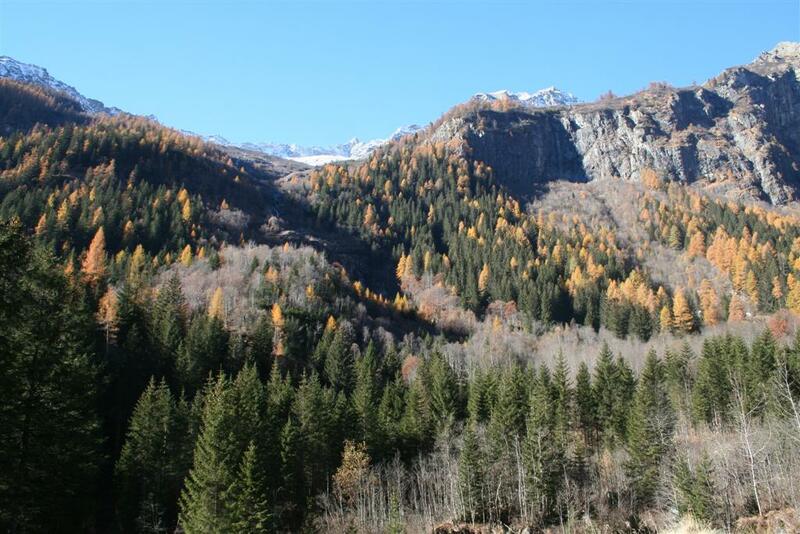 The descriptions of the valleys in the western sector of the Adamello Brenta Nature Park that follow are very brief; for more detailed information you are advised to contact the Ente Parco (Park Management Board) in Strembo at Via Nazionale 12, tel. 0465-804637, fax 0465-804605 to request a brochure. You get to the Daone Valley along the main road no. 237 to Storo, turning right at Lardaro in the direction of Praso-Daone. An asphalt road runs along the Daone Valley for about 17 km as far as Lake Malga Boazzo and the Lake Malga Bissina dam (about 1,800 m.). 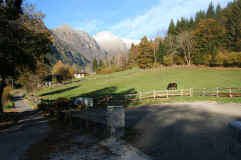 The Fumo Valley runs for another 7 km from the lake. It is surrounded in the north-east by the peaks of the Caré Alto subgroup of mountains (Cornac di Cavento, Crozzon di Lares, Cima Valbona, etc.) 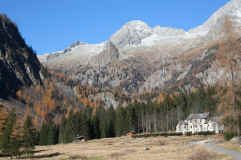 and in the west by the chain of peaks that mark the boundary with the Lombardy region (Monte Fumo, Cima Buciaga, etc.). Following the Caffaro main road no. 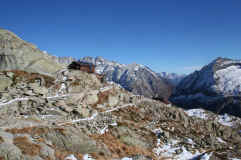 237 from Tione you come to Breguzzo where you turn right and continue as far as the Ponte Arnò Refuge (1,102 m.) and the Malga Stablei. 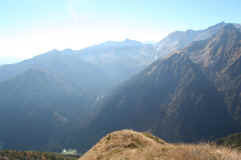 Through the valley flows the River Arnò which in its upper stretch has two arms: the Arnò and the Roldone. The largest lateral valley of the Breguzzo Valley is the Arnò Valley. From the Malga Stablei you can get to the Malga Trivena (1,630 m.) along a mule-track. In its upper stretch the valley becomes known as the Trivena Valley. The whole valley was the scene of major battles during the First World War. From Javrè or Vigo Rendena take the road open to traffic which passes the Pian del Forno plain and then park at Binola. From here the main routes start for the upper stretch of the valley. The valley has three main branches: the one in the east, through which the Rio Tecino river flows, is called Straciola. The Rio Bedù flows through the second branch which in its upper stretch is known as Valletta (upper and lower). 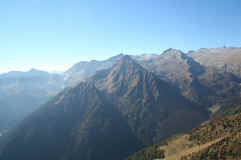 The third branch, the Cavento Valley, lies on the left bank at the foot of the southern slopes of the Caré Alto peak. In the Middle Ages the San Valentino Valley was known for its pyrite deposits. Near Spiazzo Rendena leave the main road no. 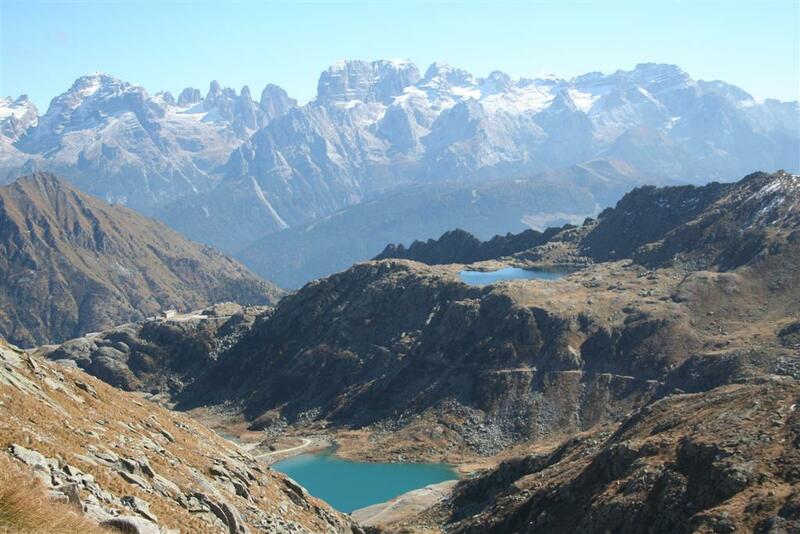 239 to turn westwards and follow the signs for the Borzago Valley for about 7 kilometres as far as the Pian della Sega car park, where the path to the Caré Alto Refuge (2,450 m.) starts. The Rio Bedù di Pelugo river flows through this valley. Perhaps the best-known valley in the western sector of the park. Near the Carisolo bridge on main road no. 239 turn westwards and take the Genova Valley road. The River Sarca flows through this valley which is famous for its numerous waterfalls: Nardis, Casol (flowing down from the Siniciaga Valley), Lares, and Folgorida. 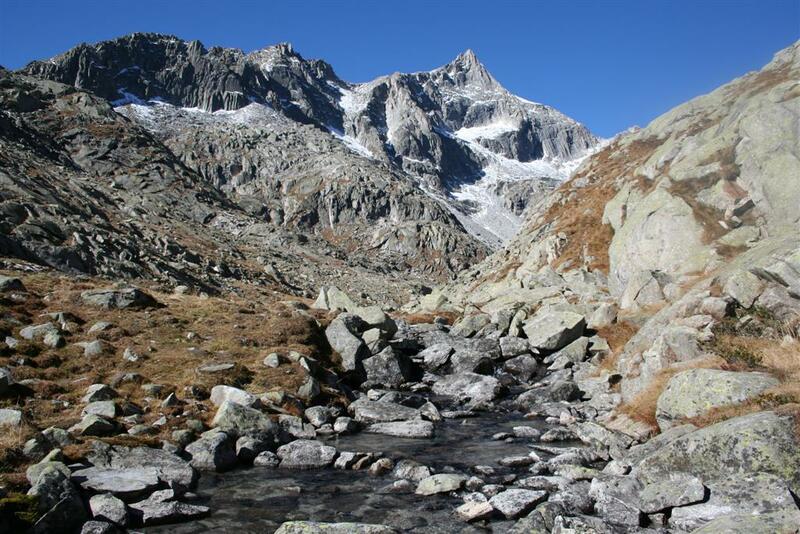 The River Sarca itself also has a number of impressive waterfalls: Casina Muta, Stablei, Pedruc and Mandron. 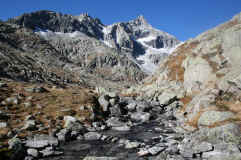 The Adamello-Mandron glacier closes the head of the valley: with a surface area of 18 square kilometres it is the largest glacier in the Italian Alps.